The South Korea SK Knights won the bronze medal match against the undermanned Philippines Meralco Bolts, 91-87. The mastery of the South Korean basketball squad continue against the team Pilipinas at the last day of the 2018 FIBA Asia Champions Cup. The two rival basketball ball-clubs especially in Asia faced-off after they failed to advance to the Gold medal match. Philippines lost to Iran in the semis while South Korea got blown by Japan in the other bracket. 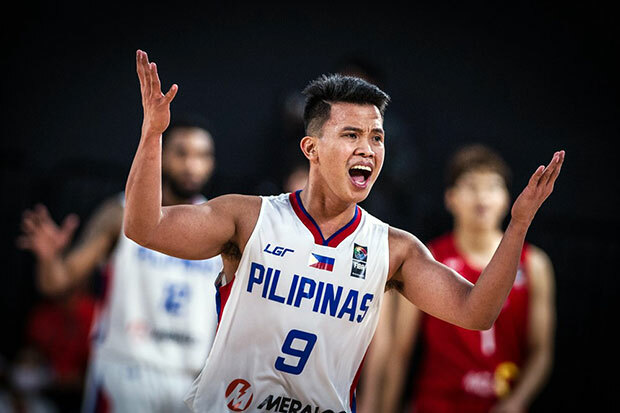 KG Canaleta kept the national team in the game and even took control in the third quarter of action as he unleashes five three pointer where he only missed three out of his eight attempts. Canaleta finished with 15 points. However, in the last few seconds in third, the Koreans able to steal the ball and beats the buzzer as the time expires. Philippines lead of four was cut to only a point as they enter the final period, 63-62. In the fourth quarter, immediately the Koreans made its surge via a 8-0 run. SK Knights caught fire from the three-point area as they hit big-shot after big-shot. On those moments, the defense of team Pilipinas seems like confused and Korean squad took advantage. Likewise, SK Knights went to their guard Wonhyuk Choi who is much taller to Anjo Caram. The two players matchup with each other in the post and Choi who has the height advantage went supreme. Choi was able to locate his cutting big-man or pushed Caram deep in the post and make an easy two point. Team Pilipinas played a catch-up game almost the majority of the final period but team South Korea always have an answer each time Meralco convert a basket. The Bolts had a small window of opportunity when SK Knights’ import Dajuan Summers got fouled out but their opponent didn’t panic and knows how to finish the game. Meralco’s import duo Allen Durham and Diamond Stone scored 21 and 32 points respectively. Baser Amer had 12 points and apart from Canaleta no other locals reached double-digits in terms of scored points.